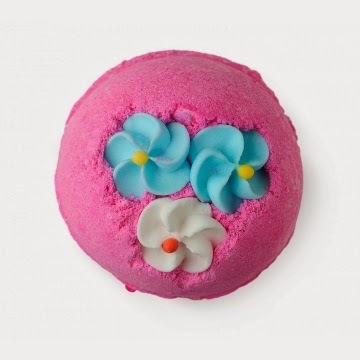 Ok so i recently made my long awaited visit to 'Lush', for those who don't know Lush is fresh handmade cosmetic store selling things from bath to hair to perfume. I have been in love with this store ever since I watched Zoe Sugg's (aka. Zoella's) haul video and have been wanting to buy stuff off it since. So when i found out that Perth has not only one but now three stores, i knew i must attend. Thankfully i didn't go by myself otherwise i would of bought the entire store and then we would have a massive issue. I thought i would show you all i bought and go through them. Besides that this bath bomb looks absolutely beautiful, it smells amazing. 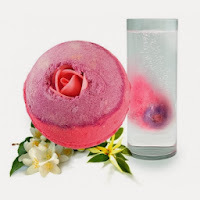 This bath bomb is amazing at recreating a beautiful sunset in your bath. I simply had to buy this bath bomb based on its colour (pinks my favourite) and the starts and moons that have been imprinted into it. I noticed when i got home that inside this bath bomb its blue inside, so i will be interested into to see what colour it makes the water, I'm guessing it will change it into the colours of a sunset, but will have to wait and see. Ok lets just get this clear, i bought two of these bath bombs as present for my friends, purely because of what they look and smell like, not the names. Unlike some of the other bath bombs at Lush this bath bomb doesn't have many surprise, it produces a gorgeous pinky purple colour in the water and smells like rose and jasmine. I will be interested in how my friends like these. 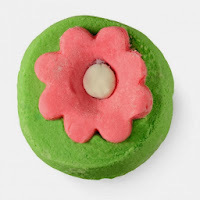 How cute is this bath bomb, it is a vibrant hot pink colour (this picture doesn't give it justice) and has a gorgeous tonka bean aroma mixed with the sweetness of vanilla. The great thing about this, is that the aroma isn't that overbearingly. 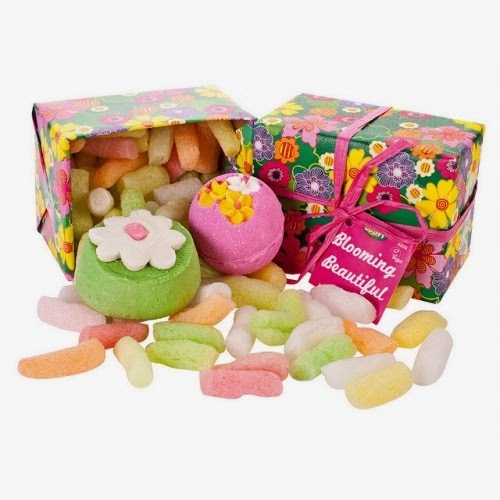 Now this is adorable, this bubble bar that Lush has produced along with all its others are amazing, place a small bit in the bath and you instantly have bubbles. This Bath bubble bar was inspired by Mary Poppin's to sort out a chaotic household. This bath bubble bar is great to relax and calm you after a stressful day. So don't let the look of this put you off, this stuff is amazing, and one of my best purchases in a while. As the name states its a shower scrub. It has a sugary texture too it, which is great for exfoliating you skin if using a large amount, or perfect as an every day body wash. 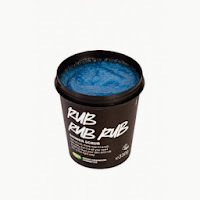 The best thing about this, is it makes your skin feel extremely soft afterwards, its incredible. Another bonus, is that unlike other soap it doesn't block your drain, which is great. 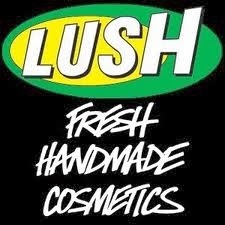 I hope you all enjoy this blog and please let me know you experiences at lush, and if you enjoyed this haul, have any advice or any suggestions for next blog. 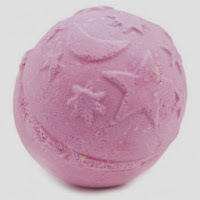 the twilight bath bomb is my favourite one from lush! !